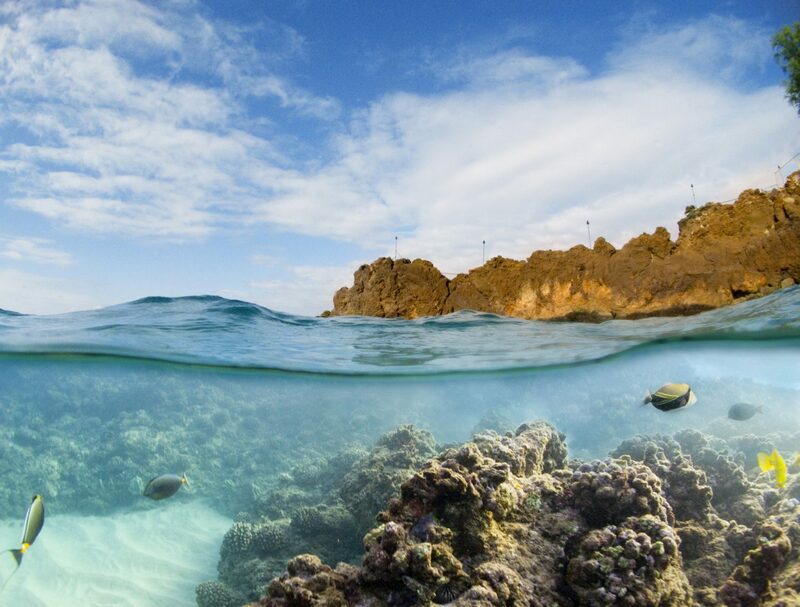 Check out our 5 Top Snorkeling Spots & Learn Why Maui has the Best Snorkeling. Headed to Maui? Lucky you! Hopefully you are planning to do a bit of snorkeling while on the Island, for good reason. Maui has some of the most incredible snorkeling in the world. 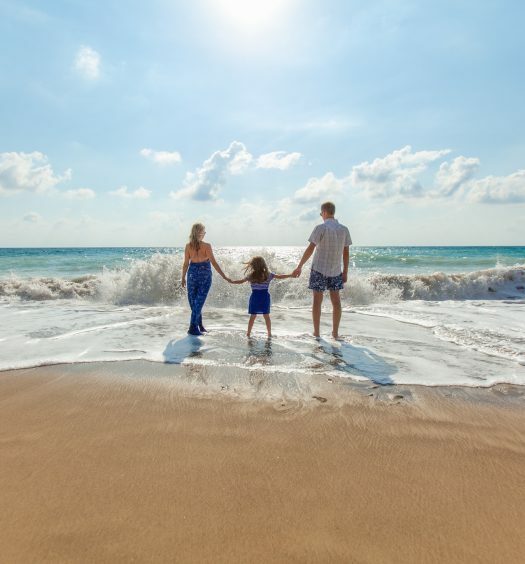 In this article I’m going to share what makes Maui snorkeling so amazing and my top 5 places to snorkel in Maui for adventurers of all ages – also be sure to check out our buyers guide for kids snorkel gear. What makes Maui Snorkeling So Good? The average water temperature in Maui is a beautiful 78.1 degrees. Just cool enough to be refreshing and warm enough to stay in the water for a long period of time without getting cold. This is especially ideal if you are used to the water temps of US Atlantic or Pacific Coast with temps ranging anywhere from 52 – 70 degrees in the summer months…brrrr. 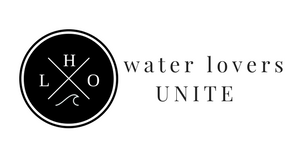 To see Maui’s current water temp today, check out this page. 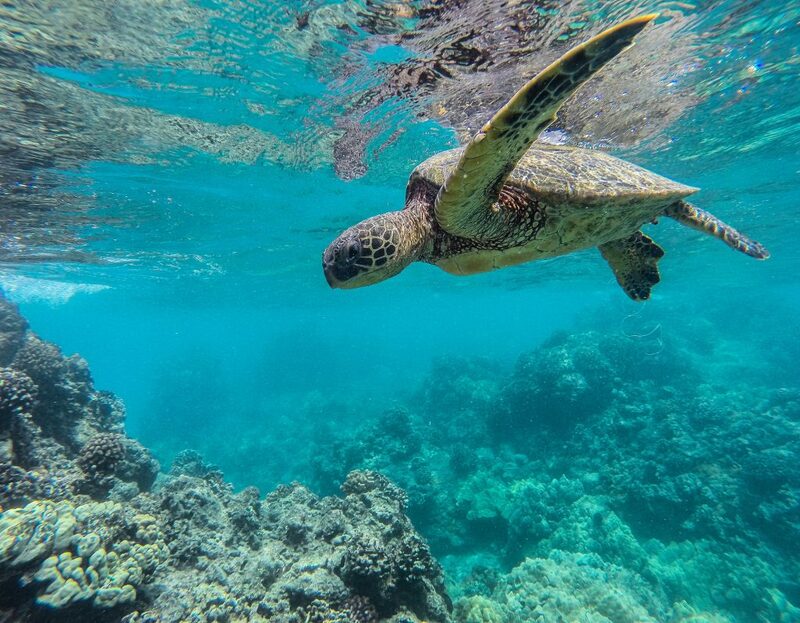 Maui is home to thousands of types of marine life. Most notably in terms of a variety or fish. About 20% of fish species in Hawaii are unique to the islands. My favorite is the Raccoon Butterfly Fish. You will also see lots of sea turtles, including the Hawaiian Green. As well as rays, eels, octopus, sea urchin, sea stars, and more. You will be able to enjoy beautify coral reefs – an amazing living habitat. What I found so surprising is that each time I snorkel in Maui, I am shocked by the abundance of sea life I see. Every time out, I see dozens of creatures, often times fish I have never seen before. So if you are wondering if you will come to face to face with a ray or majestic sea turtle, the answer is most certainly yes – especially if you check out one of my top 5 snorkel spots. Sandy beaches, without jagged rocks make for happy snorkelers and swimmers. All of the beaches that I venture to for snorkeling are just that, easy to enter and access. One of my recommendations in only accessible by boat, but well worth the journey. Crystal clear water is the norm in the Hawaiian Islands. But, be aware that Maui is specifically known for tradewinds certain times of year that can occasionally kick up debris and make the water less clear. The summer months of May through October are when the tradewinds are the most consistent. It is advisable to snorkel in the morning before the winds pick up. To learn more about tradewinds and which part of the Island they can affect, check out the Trilogy Blog. 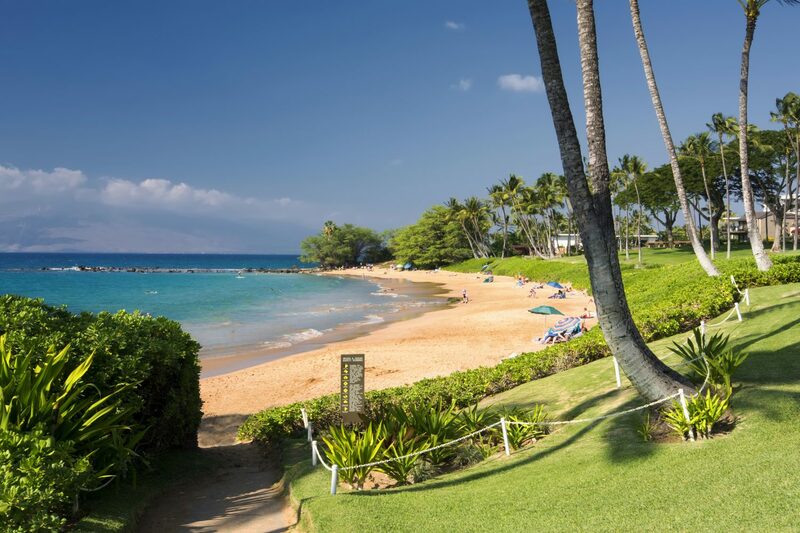 For the best snorkeling on Kaanapali Beach look no further than Black Rock. Located on the Western Shore of Maui, Black Rock is situated directly in front of the Sheraton. While the beach may look a little crowded, there is plenty of room in the water. The water that surrounds Black Rock is clear and protected from the wind, making it ideal conditions. The water can be as deep as 30 feet in some spots. You will be snorkeling around the lava rock which houses an incredible amount of sea life. I have seen nearly 100 turtles, countless fish, and nearly bumped into a ray all at this single location. It is also idea for kids who are looking to snorkel, as long as you keep them near the shoreline. When you’re not in the water, it’s is a nice little beach with lots of yummy eateries nearby. 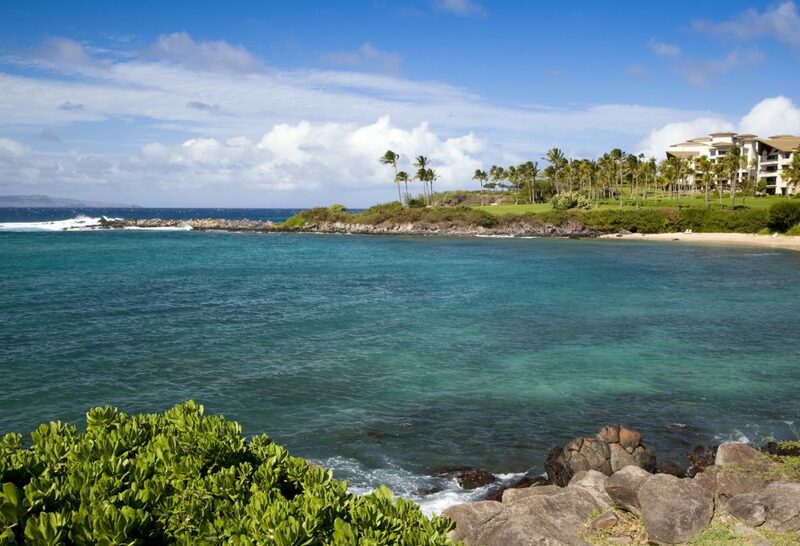 Located on the Northwest shore of Maui Kapalua is known to be one of the most calm snorkeling spots in Maui. It is a very shallow sand entry with the reef staring just a few feet out on either side of the bay. 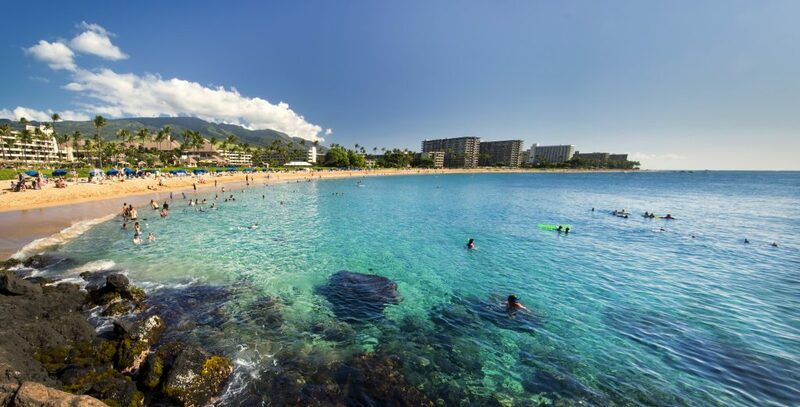 This bay is perfect for snorkelers young and old, with one of the most comfortable beaches in Maui for any down time. You will see many sea turtle and the most pristine coral on the Western side of Maui. Tip: enter the bay on the left hand side, as the right can be rocky and a bit slippery. This next snorkel destination is only available by boat and the two times that I have snorkeled here, I went on the Paragon by Sail Maui. The first stop, after setting sail from Lahina Harbor, is Manele Bay – which is one of the lush and vibrant coral reefs which attracts fish and turtles but also attracts dolphins. It is one of the rare snorkel spots where you encounter dolphins. The crew of the Paragon is really helpful to share tips on how to make the most out of this excursion. On the South side of Maui look no further than Ulua Beach for snorkeling. Which great reef with lots to see without having to go very far out, it is idea for easy access. Public access and parking is located just past the Renaissance Hotel in Wailea. 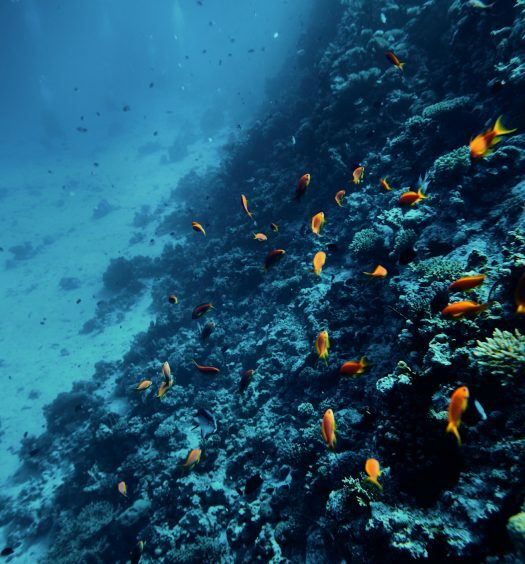 You will see a variety of marine life if you snorkel around the rocky outcrop. If you ventured on the Road to Hana and are looking to do something to get you out of that car before you head back, I highly recommend snorkeling a t Hana Bay. The best place to snorkel is around the pier on the right hand side of the beach. It is calm for the most part, but strong currents have been known to pick up out of nowhere. It is an amazing spot for eels, native fish, and turtles. You will notice distinctively darker sand than any of our other snorkel spots. Additionally, you will find an abundance of parking and picnic tables in the area. I hope that you enjoy your snorkel experience in Maui, and if there are other places you’d like to recommend to me for my next visit, please leave comments. 1 What makes Maui Snorkeling So Good?